External water leaks – whose responsibility is it? If your home’s been hit by flooding it’s most important for you and your family to stay safe. A flood is one of the most damaging and distressing things that can happen to your home. Recent years have seen devastating floods invade homes throughout the UK, and with global warming on the rise, it’s an unfortunate likelihood that similar disasters are on the not-so-distant horizon. At least 3.5 million homes in England are at risk of flooding, with one in 12 of these categorised as high risk. This doesn’t even account for the large number of properties that are at risk of flooding in Wales, Scotland and Northern Ireland. If you’re worried about the risk of flooding, you’re thinking about buying a house in a flood risk area, or you want to reduce losses from flooding, make sure you have all the facts about floods by reading this guide. The Environment Agency defines flood zones to determine the risk of an area flooding. As well as affecting planning regulations, flood zones give home buyers a general idea of how likely their property is to be affected by flooding. Flood zone 1 areas have been assessed as having less than 0.1% chance of flooding from rivers or the sea each year. This means that, according to flood zone definitions, the chances of a property in flood zone 1 being affected by floods are one in 1,000 each year. Flood zone 2 areas have been assessed as having between 0.1% and 1% chance of flooding from rivers, or between 0.1% and 0.5% of flooding from the sea each year. Properties in flood zone 2 therefore have between one in 1,000 and one in 100 chance of flooding from rivers, or between one in 1,000 and one in 200 chance of flooding from the sea each year. Flood zone 3 areas have been assessed as having more than 1% chance of flooding from rivers, or more than 0.5% chance of flooding from the sea each year. Properties in flood zone three therefore have at least one in 100 chance of flooding from rivers, and at least one in 200 chance of flooding from the sea each year. Flood zone 3b areas are classified as functional flood plains, and so have the highest risk of flooding from rivers or the sea. These areas usually have at least a 5% risk, a one in 20 chance, of flooding each year. Similar tools exist for Wales, Scotland and Northern Ireland. The estate agent or seller may be able to tell you if the property you’re thinking of buying has a history of flooding. Checking with neighbours and other local residents is also a good idea. If the property has flooded in the past, check if there’s a Flood Defence Scheme in place now – this will aim to protect the property and may lower the flood risk. If you do choose to buy, your conveyancing solicitor should perform an Environmental Data Search, identifying the flood risk of the property you’re buying. If this uncovers even a low risk of flooding, you should request a full flood risk report to get all the details. Getting a mortgage for a property in a flood zone may not be easy, but it isn’t impossible. Generally, the more severe the flood risk, the fewer options you’ll have. Bear in mind that having buildings insurance is usually a condition of getting a mortgage, so if you can’t insure a property, you’ll probably be unable to mortgage it too. If and when you come to sell a house in a flood risk area, there are a couple of things you should bear in mind. Firstly, you might want to be honest and up front about any flooding that’s occurred in the property in the past. Any flooding will show up on the searches carried out by the buyer’s solicitor anyway. You’ll also need to accept that you may not be able to sell the property for as much as it might be worth if it wasn’t in a flood risk area. Does buying a house in a flood zone affect home insurance? If the property you’re purchasing is in a high flood risk area, it could have an impact on your home insurance price. Bear in mind this doesn’t necessarily mean you’ll be worse off in the long run, as it’s likely that a property in a flood risk area is for sale at a lower price than it might be elsewhere. Flood Re, a scheme established by the government, caps premiums for homes with a significant risk of flooding. Admiral uses Flood Re to provide more affordable home insurance to homes at risk of flood, so it’s worth seeing if you can get cover if your home's in a flood risk area. If your house is at risk from flooding, there are steps you can take to prepare and limit the potential damage. As a short-term fix, sandbags used with plastic sheets can help prevent water getting in if there’s a flash flood. Your council may have these kinds of protective materials for you to borrow. There are also more robust flood-protection products available such as temporary flood barriers and guards. You can also buy hydrosnakes as a replacement for sandbags. Be sure that what you buy has a BSI kitemark. Home insurance details - you’ll need to contact your insurer as soon as possible if you need to make a claim. Admiral has a 24-hour helpline to assist if you need help or advice. If you have a car that you think may be affected, try to park it further uphill if you can. If your home’s prone to flooding year after year, it makes sense to take more long-term measures. Sockets, fuse boxes and wiring should be raised 1.5 metres off the floor where possible. If you have carpeted or vinyl floors, for example, you can replace these with ceramic tiles or wood. Water-resistant doors and window frames are available, as is water-resistant sealant for outside walls and doors. You can also fit flood-proof skirting boards around the property. Properties often have air bricks installed for ventilation but as they’re not impermeable, they may allow flood water to seep in. You can buy covers for them, but you can also get smart air bricks which seal up the vents under certain conditions. This is especially useful as it means you don’t have to cover them manually, giving you peace of mind if you’re away from home when a flood hits. Again, be sure that anything you buy has a BSI kitemark, as it will have been thoroughly tested by the British Standards Institution and the Environment Agency. Escape of water is one of the most common claims on home insurance, especially in the winter. The smallest of leaks can release a lot of water and cause problems with plasterwork, carpets and your possessions. Following the tips in the next section will also help to prevent your pipes bursting due to freezing and then splitting. External water leaks between property and boundary – whose responsibility is it? All water companies have a code of practice on this issue. If there is a leak on your supply pipe, you are responsible for repairing it. If there is a leak on your side of the meter, public footpath or external stop valve, it’s your responsibility to fix it. If it’s the first time it’s happened to you and it’s not too expensive, your water company may repair the leak – but they’re not obliged to. The water company is responsible for the water mains in the ground and normally for the communication pipe. This is the part of the service pipe leading to your boundary from the mains. Outside stop valves are often the property of the water company and should be maintained by them. Problems with the water meter are the responsibility of the water company. If the leak is due to a damaged water pipe, or if the pipe bursts, responsibility for fixing it depends on which part of the pipe is damaged. If you rent your property, your landlord is responsible for maintaining the supply pipe. If your supply pipe serves other properties, you may share the responsibility. Check the title deed of your property for more information about whose responsibility it is to maintain the supply price. If your property is unoccupied you need to let your insurer know and in some circumstances you may need alternative cover. Some insurers enforce a 30-day rule where insurers stop covering a property left unoccupied for more than 30 consecutive days, while others will restrict cover. If you are able, and it is safe to do so, remove mud, clean and disinfect. James Dalton, Director, General Insurance Policy at the Association of British Insurers said: "Flooding brings misery to homeowners and businesses, which is why insurers are pulling out all the stops to help their customers recover as soon as possible. Only return to your home after a flood when it is safe to do so. It can take weeks, sometimes longer, for a property to fully dry out so don’t rush to redecorate. If your property is listed in a high-risk area you’ll more than likely be familiar with high costs for home insurance or have even faced difficulties getting cover at all. But the introduction Flood Re a few years ago has seen more than 200,000 properties benefit from the government scheme, which is backed by a number of UK insurers, including Admiral. Aiming to give homeowners a wider range of flood insurance options at more affordable rates, Flood Re works by charging all home insurers a fee, it's this fee plus other charges covered by insurers that pay for any associated flood claims. 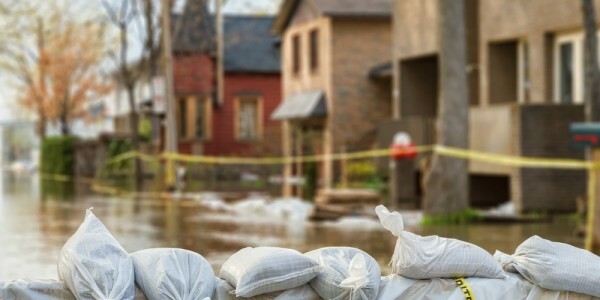 With the considerable upheaval that flooding can cause, choosing insurance that covers you against the possibility of a flood is vitally important. Homes built before 2009 may be eligible for the Flood Re scheme, making insurance costs with a trusted provider like Admiral more accessible and affordable. Get a quote for your property to find out what you can expect to pay for flood insurance.